Self-Portrait crepe dress with lace trims. 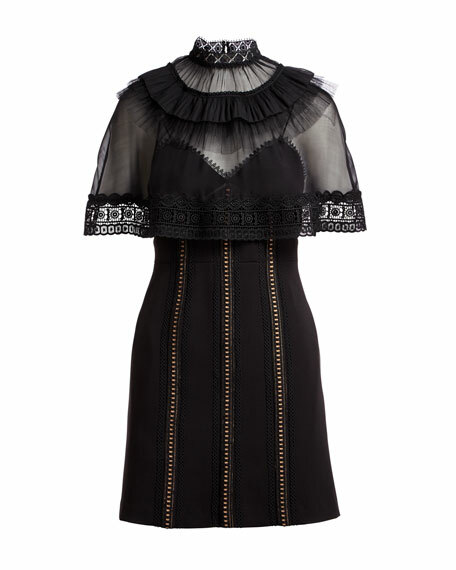 Sheer cape overlay with pleated frills. For in-store inquiries, use sku #2436851.